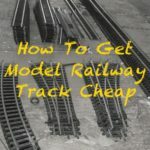 Looking for an easy way to make budget models for your railway? 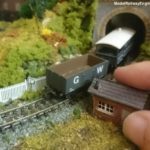 An ultra-ingenious and fun new tool promises to revolutionise your model making yet costs less than a second-hand Hornby train. 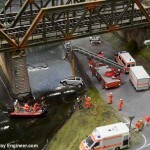 Aside from the track and trains one of the most expensive costs of a model railway are the models and buildings. Pre-assembled form buildings can costs upwards of £30 a time with some in the Hornby Skeldale range for example going for almost £100. Even kit versions while starting for less can quickly become expensive as they increase in size. Faller’s coalmine head-gear with mine shaft and double head-frame for example costs £55. Of course, it’s possible to construct models from scratch but this can take ages. 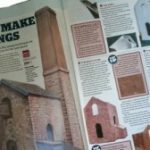 The scratch build Cornish tin mine I’m working on has taken 6 weeks so far! 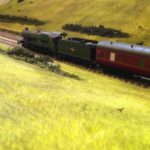 Just imagine being able to create your own robust buildings, scenery items and track side equipment. Well of course 3D printers that can do this have been around for sometime now but they cost a lot and require complex software. But what if there was a device that could do this but didn’t cost a lot – no more than a second hand Hornby train for example – and could be held in the hand like a pen allowing you to just draw 3D models? Now that’s something I’d be very interested in! The ability to draw trees, fences, and landscape features let alone create buildings would save a fortune, be a lot quicker than scratch building and probably more fun. This is precisely the idea behind 3D pens that are now getting a lot of attention in the craft market. In a nutshell, they’re 3D printers in pen form that retails from around £60. This is the Lix pen, the smallest of the 3D pens now on the market. There are now several types of 3D pen on the market, from the original 3Doodle to the newly announced smaller and more expensive Lix pen. They all work in roughly the same way. 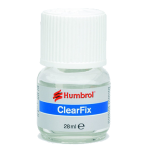 Think glue guns shaped like a pen but instead of ink or glue it you get a thin line of hot plastic that cools and sets hard very quickly. The 3Doodle video below shows them off best. This is a promo video so it’s going to be upbeat about the potential but Jamie and Adam over at Tried and Tested have taken one for a spin from a modelling perspective and it does seem very promising. This combined with breakdown of how they work and it’s easy to see the appeal, promise and how they could revolutionise model railway building for many of us. 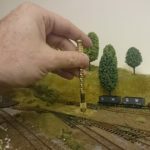 The promise of the such pens for model railway builders is huge but there are concerns. Chief amongst potential show stoppers, flagged by Tried and Tested above, are the resolution that can be achieved and how smooth the hardened plastic is but I’m already thinking of workarounds for these. The rough surface could actually be a benefit for some objects, notably organic objects such as trees where the texture for the bark could add to the realism. 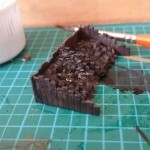 And for buildings, photographs of prototype roof slates, brick, stone and wood surfaces could be glued to the plastic to give cover up the rough plastic giving strong realistic looking models for a fraction of the price of off-the-shelf kits. (see: printing your own photorealistic walls). Time will see how practical these pens are and I can’t wait to give them a go. I’m waiting on mine to arrive and will report back as soon as I’ve given it a go. Would you use 3Doodle for your models or do you already use one? I’d love to hear about your experiences so please share your thoughts in a comment below. I used to work in the pernament way gang, and when we working, there would always be lengths of steel rail lying next to the track, where we were working. 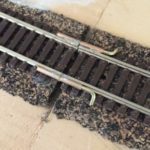 I’m going to have some railway workers, and I was wondering what I could use for these rails, when I Google rails it just comes up with the usual model rail with sleepers.